Let’s try this again! My motto for this year is “Make More Moves and Less Announcements.” With that said, I will still have some challenges posted each month, but some goals for 2015 will be done more privately. For this month I have selected three challenges to complete. Rationale: Who doesn’t need to save more money! This is a no brainer and it was a complete success in 2014. 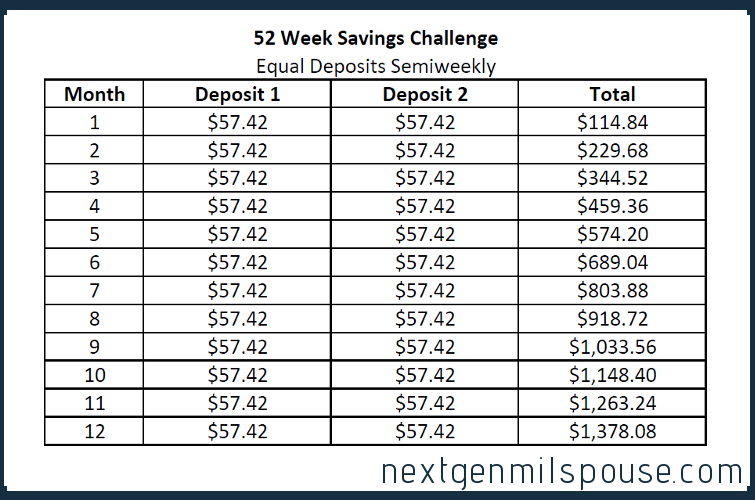 With interest included, I saved $1485.64 with this challenge in 2014. Resource: This challenge has been posted everywhere, Facebook, Pinterest, etc. The goal is to have $1378 at the end of the year. I have a separate account setup that will do the direct deposit semi weekly. I am ounce again going with the modified version that I posted last February, because it works out better for setting up the direct deposit. Rationale: I’ve been on a fitness kick for a while, which is why I have the workout videos I will be using for this challenge. I don’t want to get bored with the workouts, so I figure I can mix things up a bit with a hybrid schedule. My goal is to be more toned and in better overall shape. Resources: I am using this site to create the hybrid workout plan using Beachbody workouts T-25, Piyo and 21 Day Fix. I will workout 6 days a week with these programs. Rationale: I simply do not drink enough water. Resources: I took a brief online quiz to determine how much water I should be drinking per day. The result was that i need 71.5 ounces or 2.1 liters of water per day. With a balanced diet, which I believe I have as a pescatarian, it went on to state that I get about 20% of the water from my food so i need to drink 57.2 ounces of water per day or 1.7 liters. 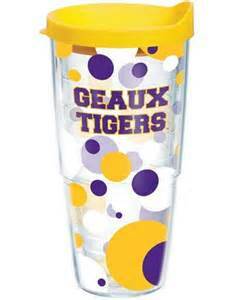 I will be using my trusty tervis tumblers to help me get the right amount of fluids per day. The plan is to drink two full 24 ounce and one 12 ounce tumbler each day. This will have me well over the 57 ounce mark. Happy New Year! And I wish you the absolute best that 2015 has to offer! 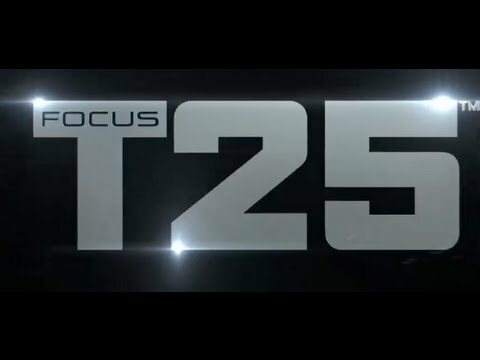 Tags: 21 day fix, 52 week money saving challenge, beachbody, challenges, fitness, H20, hydrate, january, new year, piyo, success, t25, water. Bookmark the permalink. Previous post ← Total Fail!